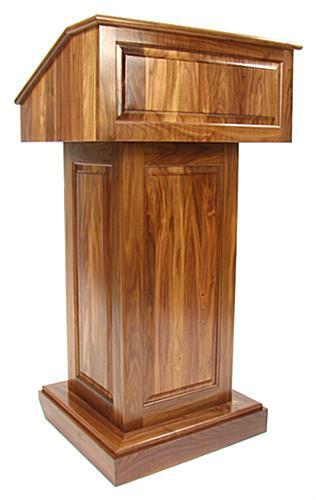 This walnut podium that is a church pulpit can be used for business or other types of ceremonies. An iterior shelf is removable to make storage space for supplies and supporting lecture equipment. 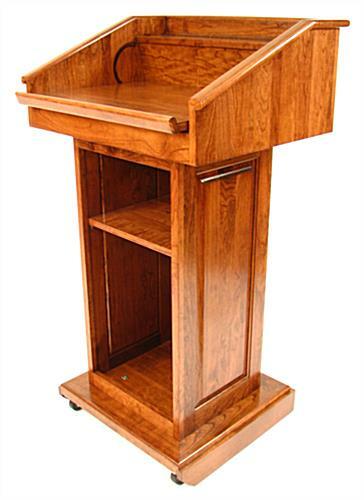 This walnut podium, also known as a convertible lectern, can be used standing on the floor, or mounted to a desktop or counter. 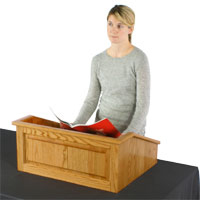 Cutouts conceal cords and wires for a professional looking presentation. 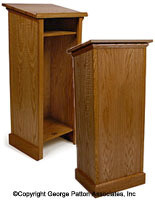 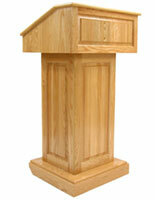 This podium that is a solid wood church pulpit features a top reading shelf that is angled or flat. 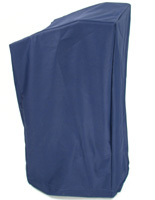 Hidden rear wheels give the unit mobility. To assemble, line up the (3) holes in each section and insert the plastic T-shaped screw into the base of each. 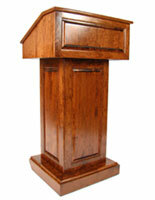 The top of the wood lectern is removable for use as a desktop mount. 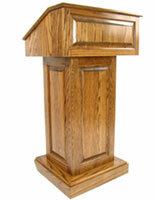 Remove then (3) T nuts connecting the top part to the center column, and place it on any platform. 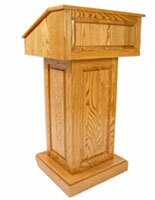 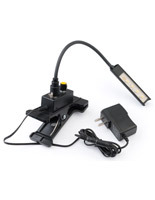 Your presentation stand is a must-have tool for effective talks!